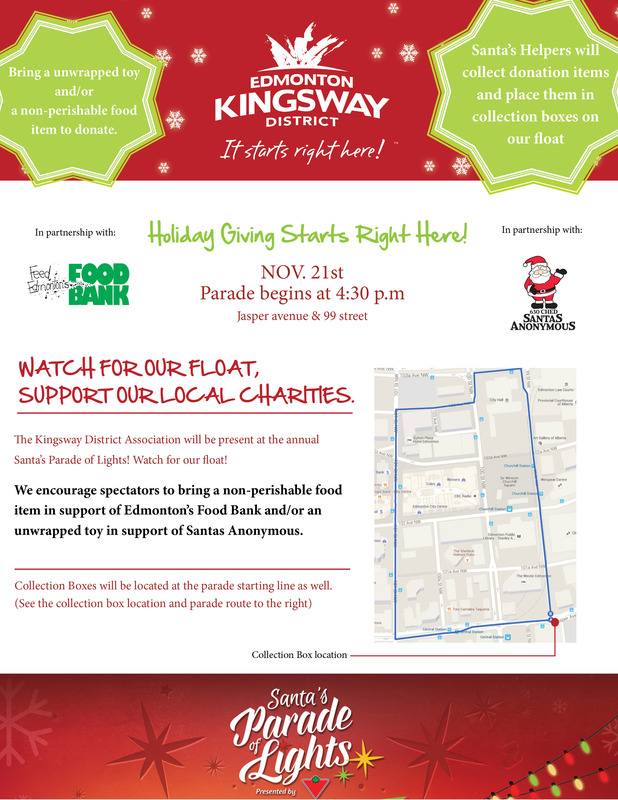 The Kingsway District Association will have a float in partnership with Edmonton’s Food Bank & Santas Anonymous. The route will travel in a loop clockwise starting at Rue Hull and Jasper Avenue, to 101st, around the back of City Hall, back down to the original point of departure along Rue Hull (99st) as seen on the map. It is encouraged to bring a donation item to one of the charities when you see the revamped outdoor Santa’s Parade of Lights on November 21 at 4:30pm. The red star indicates the location of the donation box. 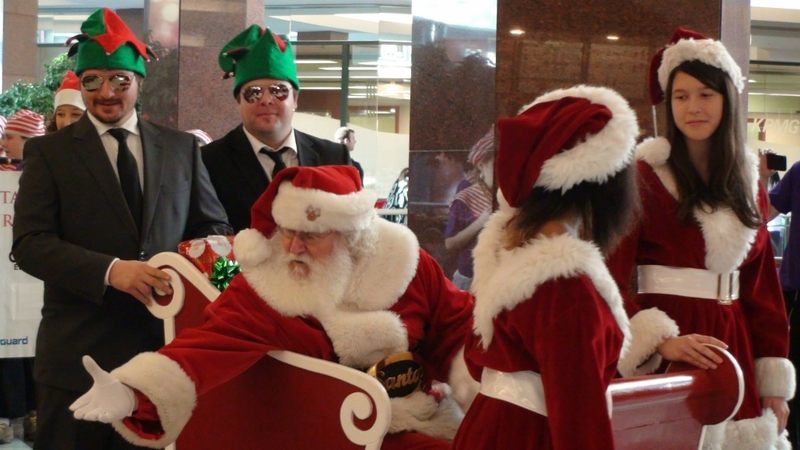 The Indoor Santa Claus Parade was cancelled unexpectedly by the Downtown Business Association last year after 26 years of running it through the Edmonton Pedway system. That 2014 parade would have been its 27th year. The last Santa in the 26th Annual Indoor Santa Claus Parade on Dec 1, 2013. The first Santa’s Parade of Lights this year returns to old roots with the original outdoor parade, with a major sponsor being Canadian Tire. Another difference is that it be embracing our long winter nights by running in the evening. Evening parades are not new in Edmonton with the Fringe Festival and the Silver Skate Festival both having their own distinct parades. Being sponsored by Canadian Tire, it would also likely be promoting lights on floats which parade-goers could purchase in store after the event. Here is an event poster from the Kingsway District Association. See this page for more details. This poster was submitted by the Kingsway District Association.